Dele Alli real name is Bamidele Jermaine Alli who was born in 11 April 1996 in Milton Keynes, England. His father name is Kehinde Alli who was Nigerian and his mother name is Denise who was English. His parents divorced after his birth. His father moved to US soon after and Dele Alli was raised by his mother. She has three other children from different fathers. 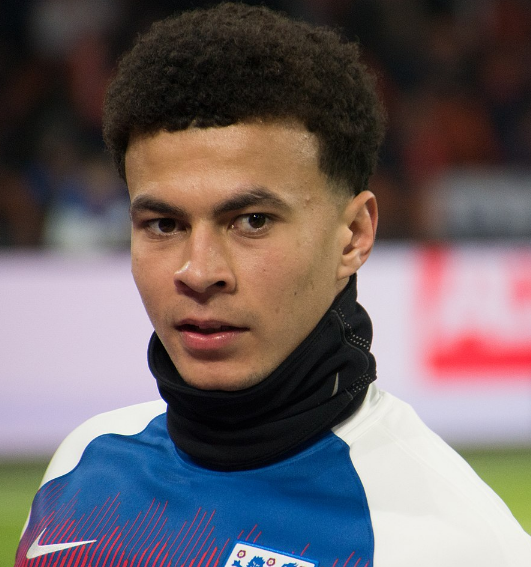 Dele Alli became a regular player for Milton Keynes Dons‘(MK Dons)’ in the 2013–2014 season. Alli scored against ‘Northampton Town’ in his first ‘Football League Trophy’ appearance to help his team clinch a 2–0 win. He scored his first professional league goal in a match against ‘Stevenage.’ He was suffered a setback during the half of 2013 due to an injury. He scored hat-trick at the age of 17 to help ‘MK Dons’ at the ‘Meadow Lane’ stadium. He again scored his second hat-trick in a match against ‘Crew Alexandra’ and he was awarded as the “Man of the Match”. In February 2015, he has signed a five-and-a-half-year contract worth £ 5 million with Tottenham Hotspur.’ ‘MK Dons’ ended as the runner up in the league. On 26 August, Alli played the full time 90 minutes in the League Cup second round as MK Dons recorded a historic win over Manchester United. 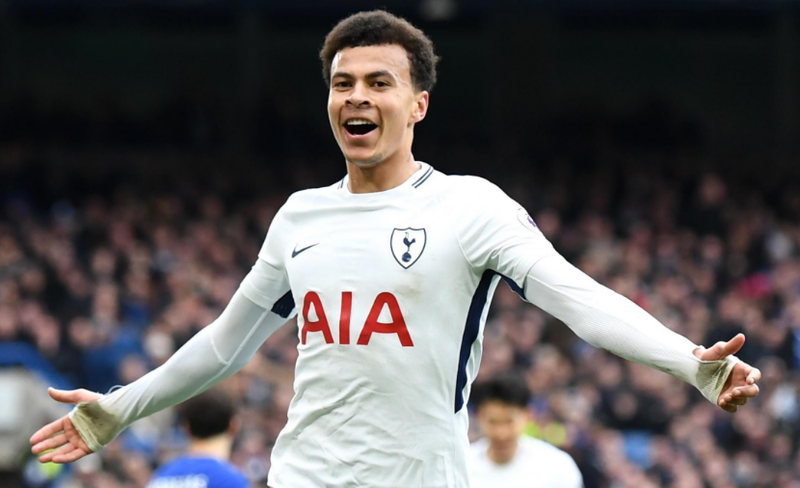 After the international break, Alli played 77 minutes in the 5–3 win against Barnsley, assisting the Dons second goal and scoring their third goal himself with a chip over the Barnsley goalkeeper. Dele Alli was choosen as the Football League Young Player of the month for August. On 18 September, Alli extended his contract with MK Dons until June 2017. It was the second hat-trick of his career and he achieved at home and he was awarded “Man of the Match” award. On 2ndFebruary 2015, Alli signed for Premier League club Tottenham Hotspur in the last hour of the mid seasons transfer window on a five-and- a-half-year deal for an initial fee of £5 million. Again he was loaned back to MK Dons for 2014-15 season and he was choosen as a Young Player of the year atFootball League Awards. In 2015-2016 season Alli made his Tottenham debut on August 8 2015. He made his first goal on 13 September which helped to win at the Stadium of Light. After the impressive performance his contract was extended until 2021 January 1. He scored 5 goals and made three assists in his 18 league matches. He was also named in the sis man shortlist for 2015-2016 PFA Young Player of the Year on 13 April. He was also voted PFA’s Young Player of the Year. He was also banned for three matches by Football association on 28 April. In 2016-2017 season he made his UEFA Champions League debut at Wembley Stadium. He scored eight goals in six matches. He earned the award of Premier League Player of the Month award for January 2017. He received the red card in UEFA Europe League. He was also named as the PFA Team of the Year and also named as again PFA Young Player of the year. In 2017-2018 season he scored his first goal in opening game at Newcastle. In this he scored two goals which help the club to fixture against Chelsea. Alli made several appearances at U17 and U18 level of England. He was called up to England U19 squad on 27 August 2014. On 1 October he was included in the squad for the final UEFA Euro 2016 qualifying matches. He made his debut for England senior team. He was again named in starting lineup for England’s friendly match. Alli was named in 23-man England squad for 2018 FIFA World Cup and scored his second goal on 7 July 2018. England reached the semi-finals of the World cup for the first time since Italia 90. Alli height is 1.88 meter and weight is 80 kg. He is unmarried but he has a girlfriend. His girlfriend name is Ruby Mae. His religion is Catholic. His Zodiac Sign is Aries. The color of his eye is Dark Brown and his hair is Black. His hairs are Short Curved. His net worth is $7 Million.